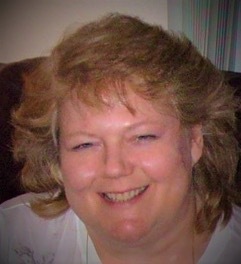 Beloved daughter, mother, grandmother, great-grandmother, sister and friend, Callie Marie Reynolds, 62, of Lebanon, Oregon, passed away April 4, 2019 with her family by her side. She was born December 17, 1956 in Kellogg, Idaho; Callie was the daughter of Gene and Sylvia (Lambert) Reynolds. Callie spent her early childhood in the Silver Valley and Couer d’Alene before moving with her family to Spokane and then Spokane Valley. She later went on to study at Spokane Falls Community College and ITT to train to be an aerospace electrician. Her first job at Boeing was for the Defense Department as an Experimental Missile Electrician. She worked for The Boeing Company for a number of years, including stops in Kent, Everett, and Spokane before retiring. She was very proud of the work she did at Boeing and developed some lifelong friendships there. After retiring Callie moved to Oregon to be closer to her family. Callie loved, and lived for, her faith, family, and friends. She was always ready to tell how Jesus changed her life. She would light up when talking about her family especially her grandkids. She enjoyed talking about the friends she had made over the years and how much they meant to her. 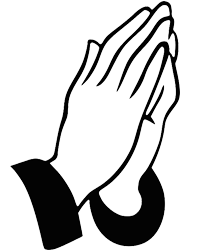 She spent a lot of her time reading and studying scripture, enjoyed cross stitching and her beloved pets. Callie is survived by her mother Sylvia Reynolds; two children Gem (Christopher) Taylor and Paul (Athena) Doney; 9 grandchildren Noah, Asher, Isaac, Grace, Megan, Keegan, Sierra, Eternity, Arkayah, and numerous great-grandchildren. She is also survived by her two siblings Jeanne (Matt) Bancel and Sherry (Joe) Peaslee and many nieces and nephews. Callie was preceded in death by her father and sister Cindy Reynolds. A Funeral Service will be held on April 13th 2019 at 11:00 AM at the Kellogg Funeral Chapel of Kellogg with Pastor Steve Scroggins officiating. Following the service, interment will be held at the Greenwood Cemetery of Kellogg, Idaho.